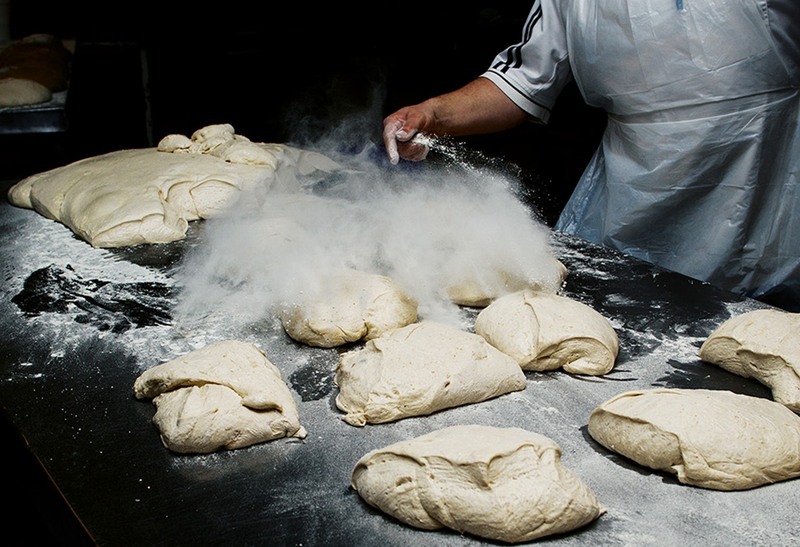 Stage 1 – It all starts with the flour. Quite a few of us I’m sure can remember biting into our first French baguette in France and thinking “how have they done this?” That it was indescribably good – and that nothing in Australia even came close. Until the advent of Laurent, that was fairly true, but now we can explain how we make that magic happen and the first of these stages is our flour. Just like a great wine, our flour is blended from different types of wheat, that we select to mimic the characteristics of French flour. An internal structure of just the right openness, weight and beautiful flavour. The story of our flour starts in the delicate, hungry red soils of Victoria’s Mallee and the unrivalled purity of soil, air and water of Kangaroo Island. With slow growth due to low rainfall, these areas are low yield but produce hard, nutty wheat of incredible flavour. The low rainfall means the wheat puts down deep roots and therefore accesses the full range of the complex minerals in the sub soil, some of which are trace elements present in tiny but essential amounts. This therefore gives this wheat a powerful and complete nutritional profile. We are able to track the provenance of this wheat right down to the paddock where it was grown. This can be important because soil type and quality can vary, literally from one side of the road to the other. Wheat from wetter areas achieves much higher yields per hectare and costs less but does not have the intense flavour of these dry land grains. This is the flour that normal commercial bread is made from which can sometimes be blended in for volume but does not define the quality and taste of our bread. Stay in touch for Stage 2 – Traditional stone milling.